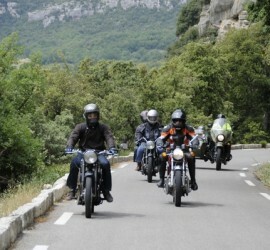 What better way to explore the beautiful Provençal countryside? 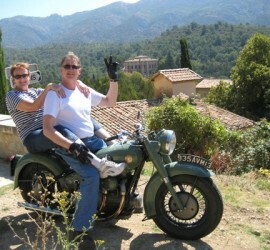 Come touring with Classic Bike Esprit and experience the true charm of Provence. 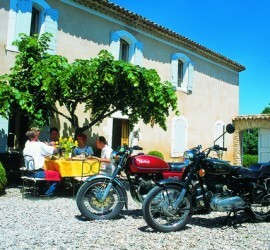 The atmosphere is relaxed the groups are kept small , and the emphasis is on enjoying to the full what Provence has to offer. 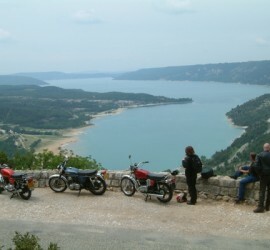 Choose from our day tours that start and finish each day at CBE base in St Rémy, or take one of our longer tours to the Gorges du Verdon, Corsica or the Parc des Cevennes. 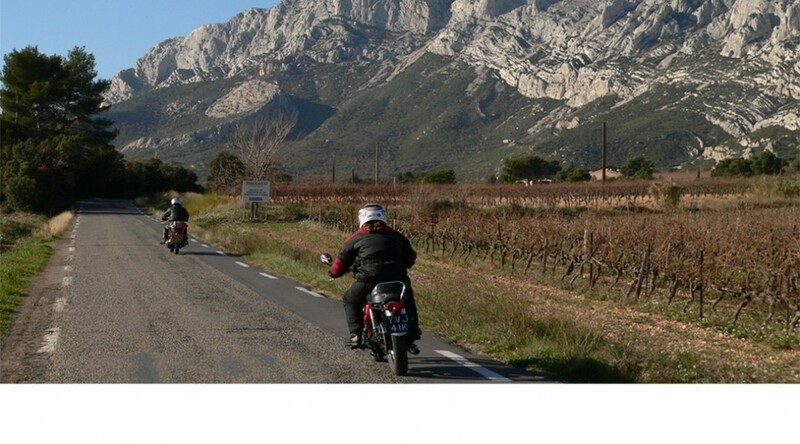 For the passenger we offer some spectacular scenery mingled with the distinctive sounds and scents of Provence, not to mention the frequent stops to get acquainted with the local culture and cuisine.